September 27, 2018 Hikvision, the world’s leading provider of innovative security products and solutions, has introduced a new range of intrusion alarm solutions to the security market. Combining Hikvision’s market-leading position and world-class capabilities with over 30 years of Pyronix’ intrusion expertise, the new range of alarm solutions supplies professional installers with innovative and reliable security systems for every requirement. With sleek, stylish and discreet designs, the extensive range provides advanced alarm solutions which support all market segments, including residential, commercial and industrial applications. Compatible with the entire Hikvision video portfolio, the range integrates via iVMS and the Hik-Connect smart device application, with Cloud connectivity as standard. This new and innovative combination offers highly reliable and proven alarm and video capabilities, alongside full remote control and monitoring with IVaaS (Intruder Verification as a Service) for video verification of events. A synergy of intrusion and surveillance technologies enables end users to arm, disarm, view, record and interact with their security like never before via one platform; helping security professionals target new market applications to grow and maximise their business potential. 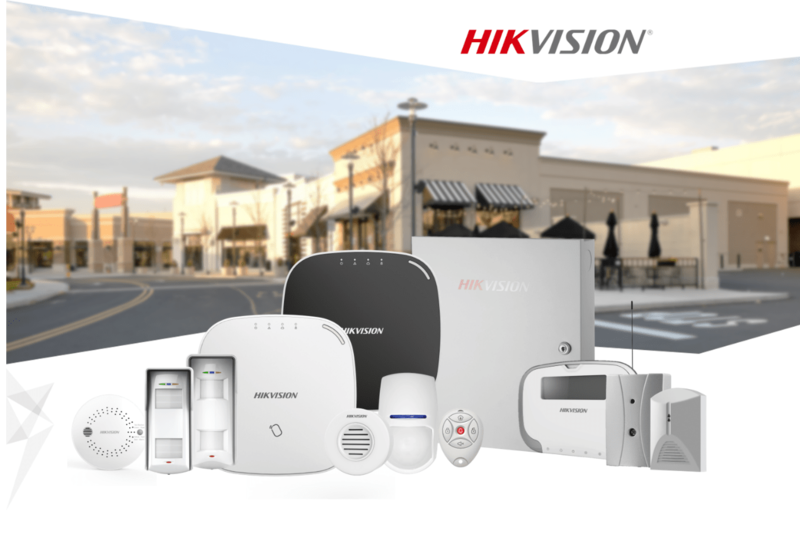 “We are extremely pleased to deliver the next generation of fully integrated, one-platform alarm solutions that fuse world-leading innovation and proven intrusion technologies,” said Jiang Feng Zhi, Head of Hikvision’s alarm division. He continues: “A big advantage of the new Hikvision alarm range, is that it provides intrusion and video technologies that have been developed and designed to work in perfect harmony, to deliver market leading advantages and performance to our partners globally. Comprising both wireless and wired systems, each support multiple communication paths to enhance flexibility and security. These can then be fitted with the extensive portfolio of wireless and wired Hikvision peripherals, to deliver security and life safety solutions across multiple markets. Welcome to the one-platform revolution. Looks like HIK (or rather AXIOM) control unit and Pyronix sensors with the full range of HIK cameras with choice of 2 wireless frequencies. Presumably using HIK-connect/cloud. Are you going to sell the AX Series? Where does this place HIK's Pryonix in this same market space?